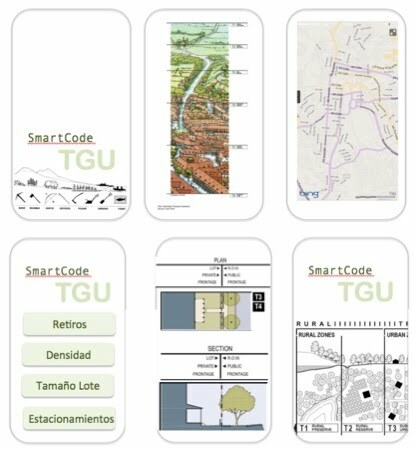 To create a App that help to apply The Smart Code to the Urban Control in Tegucigalpa.The SmartCode is a model transect-based planning and zoning document based on environmental analysis. It addresses all scales of planning, from the region to the community to the block and building. The template is intended for local calibration to Tegucigalpa (urban control). As a form-based code, the SmartCode keeps settlements compact and rural lands open, literally reforming the sprawling patterns of separated-use zoning.